Sapphires are used within a wide range of different applications due to their incredible hardness (they are the third hardest mineral known to mankind), but they are undoubtedly most celebrated for their suitability within the world of jewellery pieces. The sapphire is the designated birthstone for the month of September, and it is also the traditional present to acknowledge the 65th anniversary of a married couple, but naturally the sapphire gemstone rings in our Banks Lyon collection are ideal for almost any conceivable eventuality. 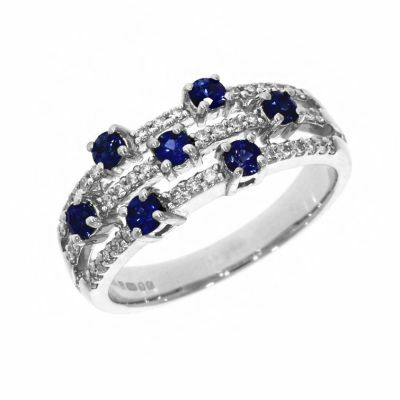 Of course, sapphires are primarily and famously blue in colouration, although due to various secondary hues (such as purple, violet and green) the tone of blue sapphires can vary significantly. However, blue is by no means the only colour of sapphire that is at large. 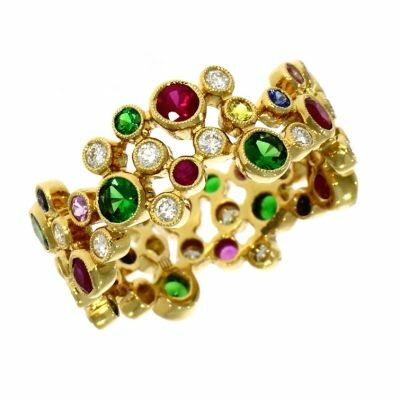 For example, our own stock of sapphire gemstone rings includes jewellery pieces with beautiful pink and yellow stones, and this is merely a small taster that doesn’t represent a consummate selection of the array of available hues. This means that even though you might share a style of sapphire ring with many other people, the exact aesthetics of your particular ring need never be duplicated. 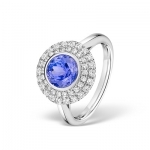 At Banks Lyon, we’re proud to say that our assortment of sapphire gemstone rings is second to none. Furthermore, because we are often able to create genuinely bespoke jewellery pieces, we are wholly capable of meeting any sort of request you might have. So whether you want an ‘off the shelf’ sapphire ring to serve as a last minute gift, or are looking for a unique labour of love as a planned present for someone very special, we are certain to have exactly what you need. For more information, please don’t hesitate to contact our professional team on 01524 38 48 58 or email us on Personalshopper@bankslyon.co.uk. We’ll always be happy to help with your enquiry.